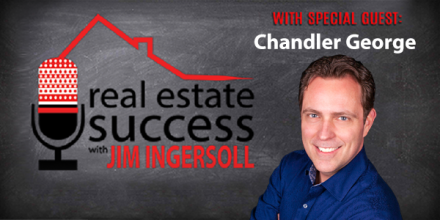 In this week’s Real Estate Success podcast, your host, Jim Ingersoll talks to Chandler George about how Doctors, Dentists and Chiropractors can invest passively in real estate. Dr. Chandler George is a 20yr + Chiropractor, Consultant, and informational marketer. He is a speaker, consultant and author. His most recent book, “Internet & Social Media Marketing for Doctors” is available through Amazon. Dr. George has used Internet Marketing to build and sell businesses and now teaches other to do the same. Dr. George is from the Dallas area and speaks all over the US giving bootcamps, seminars. and consulting services on Internet Marketing and practice management. He helps his clients keep on the cutting edge of Internet Marketing and teaches them how to leverage the technology for their business to increase ROI. Dr. George has spoken at Parker College, Esthetics Med Spa Conferences, and various other venues teaching doctors on marketing tactics, weight loss rules with FTC, etc.